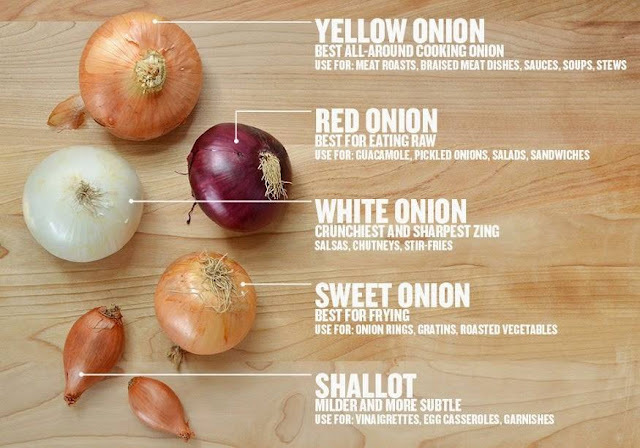 Onions vary in color, size, the time of year harvested, and flavor. These differences make onions very versatile. Yellow Onions are full-flavored and are a reliable standby for cooking almost anything. Yellow onions turn a rich, dark brown when cooked and give French Onion Soup its tangy sweet flavor. White Onions are often used in prepared salads, white sauces, and is the traditional onion for classic Mexican cuisine. They have a golden color and sweet flavor when sautéed.